Become a Concealed Carry Instructor and NRA Instructor licensed in your state and promote responsible firearms use. Select your state to find out about the requirements to become a Concealed Carry Instructor or select an NRA Discipline you are interested in becoming certified to teach to see more information. Do you want to share your knowledge of firearm handling and security with others? Does it interest you to teach others the guidelines of storing ammunition and firearms inside the home? It needs knowledgeable and confident Instructor to teach people to handle firearms properly. If you want to become that instructor, NRA Certified Home Firearm Safety Instructor training is for you. Once you have completed the course, you will be certified to teach these topics and others. In order for you to be a part of the NRA Certified Home Firearm Safety Instructor course at GTBR, successful completion of NRA Basic Instructor training is required. In addition to that, there are pre-course assessment exercises to ensure you have a suitable background in firearms. Keep in mind that there will be no shooting in this course. You will learn about how to keep firearms safe in the home to avoid negligent incidents and how to teach others how to safely clean and care for firearms in general. 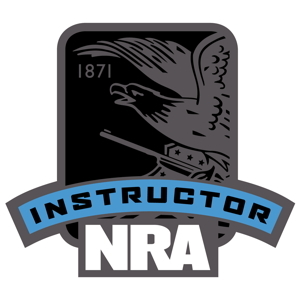 You will receive the NRA Instructor Candidate Packet and NRA Trainer’s Guide. You also get a brochure on NRA Gun Safety Rules. By completing the NRA Certified Home Firearm Safety Instructor course with GTBR, you will be ready to teach others about safely storing firearms in the home. Storing firearms is not as straightforward as it may seem. You have to explain how improper storage can negatively affect firearms. You will also be able to explain the proper ways to clean the various firearms. Successful completion of this course can be an excellent first step for those who want to complete the NRA Certified Firearms Instructor certification. Keep in mind, owning a firearm comes with lots of responsibilities. Most firearms are stored more often than they are in use. That’s why learning the skills and techniques of handling, storing, and cleaning firearms are just as important as learning to shoot. “HOME FIREARM SAFETY INSTRUCTOR PRE-COURSE ASSESSMENT"